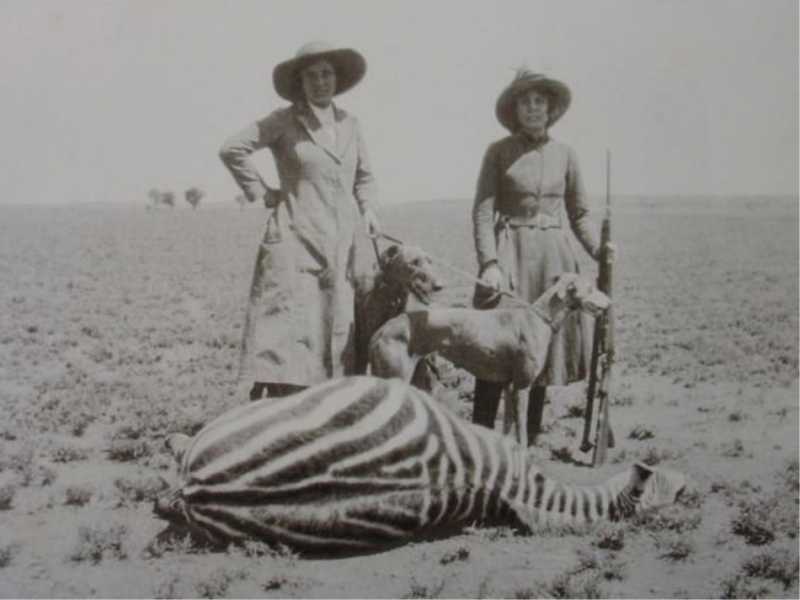 Here are photos of Karen Blixen and here Deerhounds in Africa. 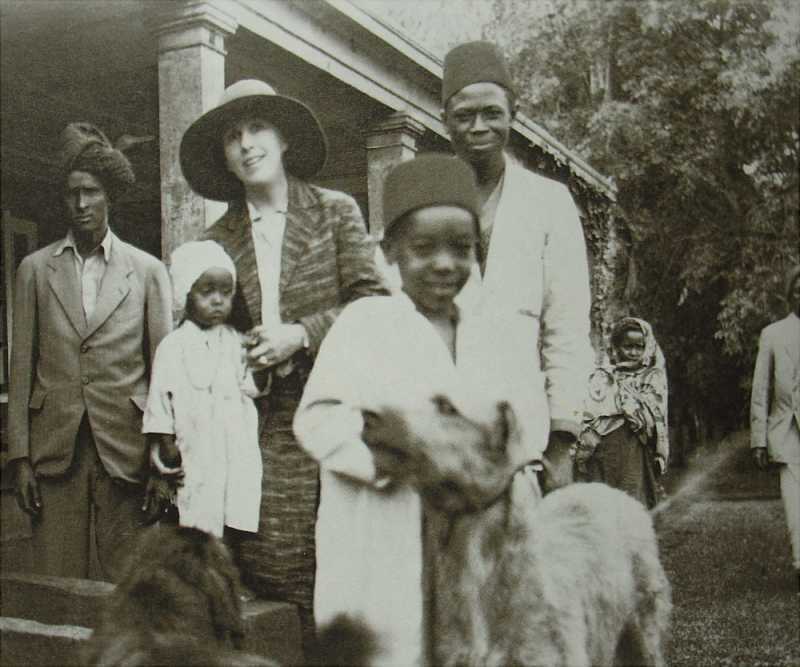 Soon after Dinesen arrived in Kenya, which at the time was part of British East Africa, she and Blixen married in Mombasa on January 14, 1914. 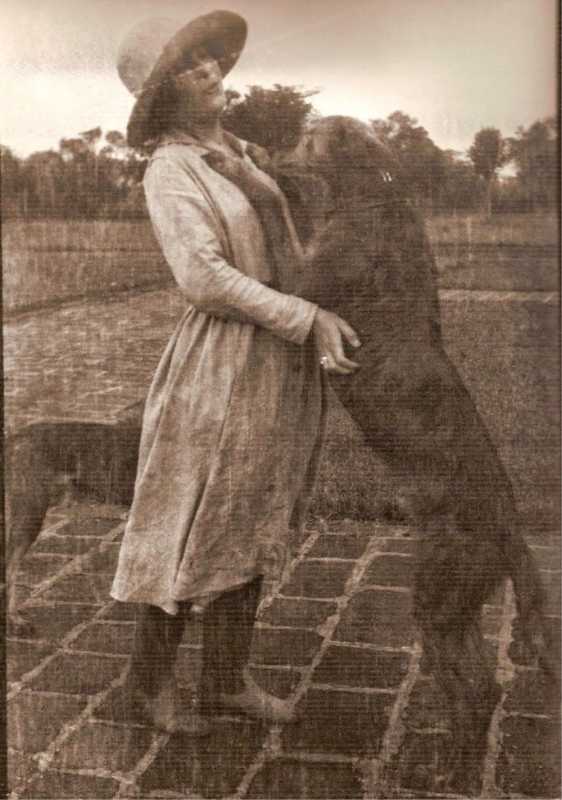 After her marriage, she was known as Baroness Blixen, and used the title until 1929, when her ex-husband remarried. 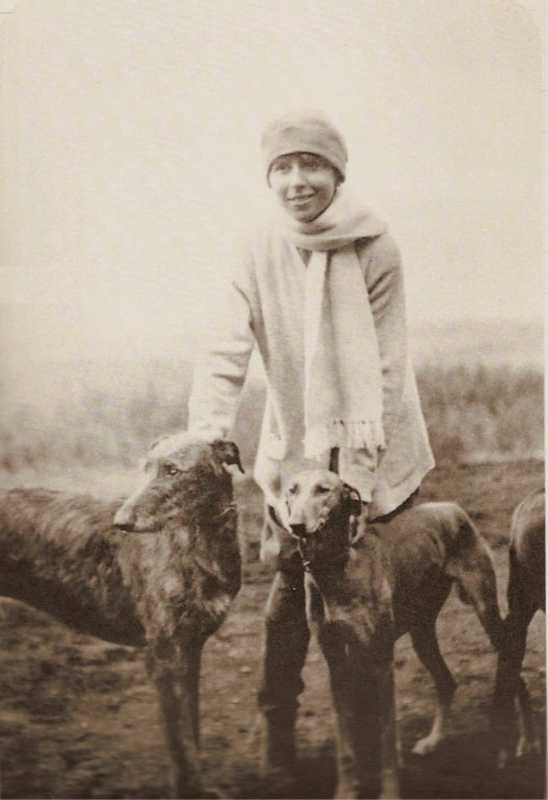 Karen Blixen began her life in Africa with two Deerhounds that she had received as a wedding present. I have enjoyed reading Out of Africa again recently. 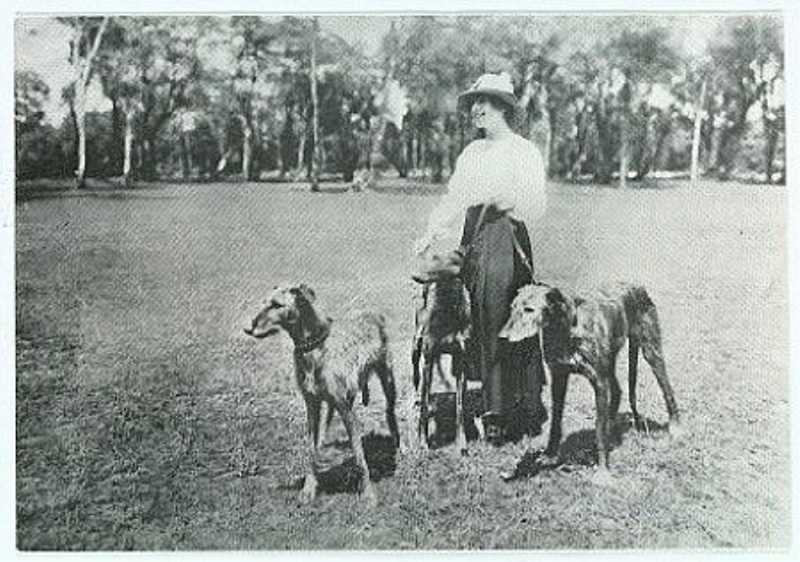 She led a colourful life and loved her deerhounds. I did wonder how the deerhounds managed in the heat. My Freya really does not enjoy high temperatures and hides indoors once it cgets to about 22 in summer.? from Sandy MACALLISTER (Text reprinted from The Claymore). 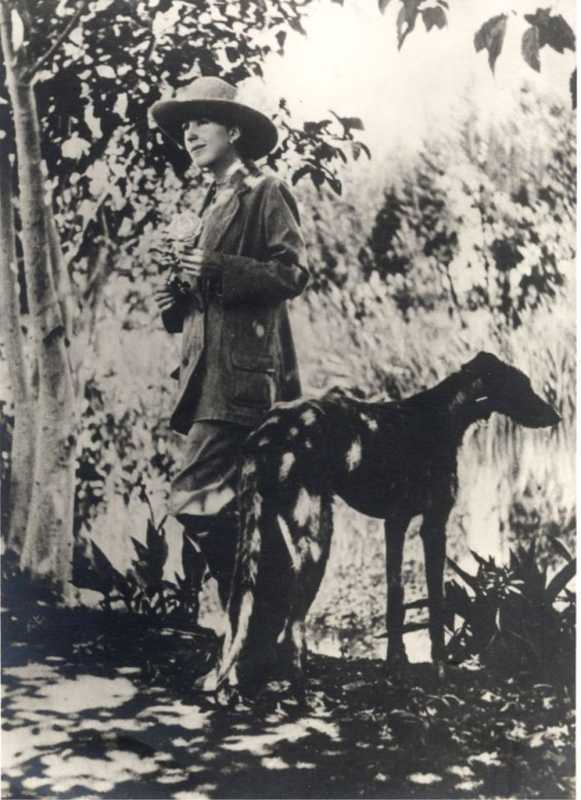 Some photos of Karen Blixen and her Deerhounds in africa. 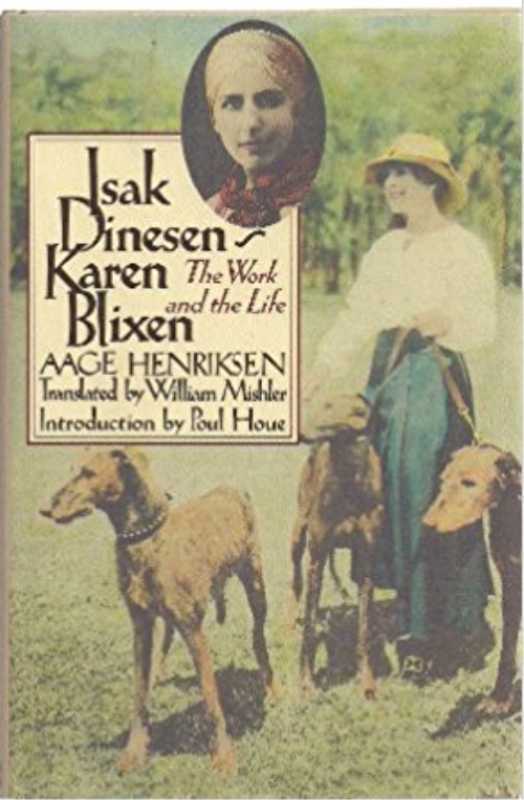 Cover photo of the book 'Isak Dinesen - Karen Blixen the Work and the Life' of Aage Henriksen.